Make Your Medical or Health Website Free!! 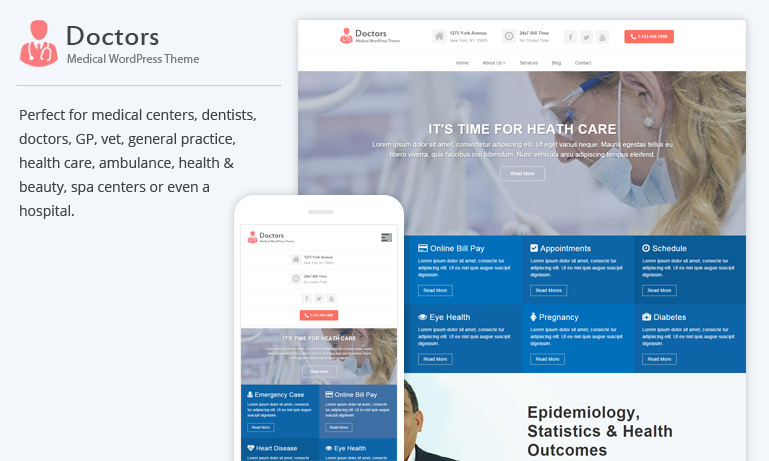 This magnificent, responsive, multi purpose Business WordPress theme is most suitable for doctors, dentists, hospitals, health clinics, surgeons and any type of health and medical related websites and blogs. Build Your Own website FREE without Having Any Programming or Coding Knowledge!